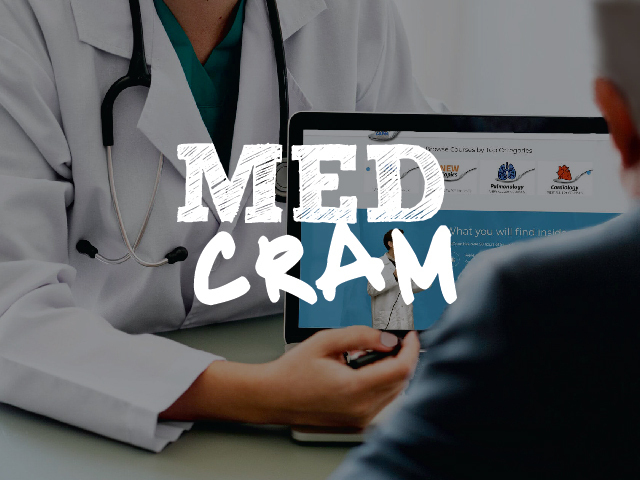 MedCram allows for more understanding in less time. You can't remember everything. MedCram helps you learn and understand what's most important. MedCram medical illustrations explain and clarify key concepts without bogging you down with excessive information. They prioritize the most important information for exam preparation and clinical practice. MedCram lecturers Dr. Seheult and Dr. Jacquet are renowned instructors with the experience and skill to take your medical understanding to the next level. MedCram believes that medical slides over-packed with information should be a thing of the past. Simple medical diagrams and animations lead to better understanding and retention. How are MedCram Lectures Different? The recurring feedback from MedCram subscribers is that MedCram often produces the best medical lectures online. Whether you are a medical student, nurse, physician, PA, NP, respiratory therapist or other medical professional – MedCram high yield medical courses can help you. 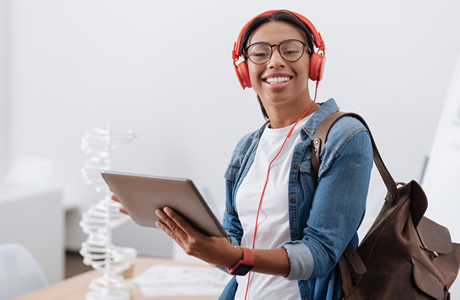 If you’re studying for a big test like PANCE, NCLEX, NAPLEX, USLME Step 1, 2 or 3, MedCram courses provide an excellent medical review and an efficient “framework” to fine-tune your preparation. Roger's current practice is in Banning, California where he is a pulmonologist and sleep physician at Beaver Medical Group. He was formerly the Director for Intensive Care Services at San Gorgonio Memorial Hospital. He lectures routinely across the country at conferences and for medical, PA, and RT societies. Kyle is a Physician Assistant who has practiced in both family medicine and urgent care. He is a National Health Service Corps Scholar and former student of Dr. Seheult at Loma Linda University. Kyle has an extensive background in video editing and medical education and performs the editing and design of MedCram courses and the website. Kyle is passionate about optimizing the delivery and understanding of medical information. He also has a keen interest in wilderness and travel medicine and is an instructor at the National Conferences on Wilderness Medicine. Dr. Jacquet is currently the Emergency Ultrasound Director at Cleveland Clinic Akron General in Akron, Ohio. There he oversees the Emergency Ultrasound education for the Emergency Medicine residency program as well as for the 5 Emergency Departments in the Cleveland Clinic Akron General health system. In addition, he is an Assistant Professor of Emergency Medicine at Northeast Ohio Medical University and participates in Emergency Medicine and Emergency Ultrasound training with medical students. He is also core faculty for the Emergency Medicine residency and participates in the instruction of general Emergency Medicine topics to resident physicians, medical students, NPs, PAs, and nurses through lecture and didactics, simulation and bedside teaching. 1st year medical student chiming in. This is a very helpful series and the majority of my class is using it to prep for interactive medical lectures. I am an Oral & Maxillofacial Surgeon preparing for my Oral Board Exam, and Just wanted to say what a tremendous resource this website and program has been. What a perfectly concise review of these topics! So I just wanted to say thank you. In 20 or 30 minutes, Dr. Seheult explains what would take 2 or 3 hours of reading to review these subjects. Thank You!